Notes on customer can contain common information about Customer which will be visible on all Tickets of that Customer to all Agents. This App can help you in providing Smart Support to the customer. It is an effective way to keep Customers information instead of asking customer same information for every Ticket. 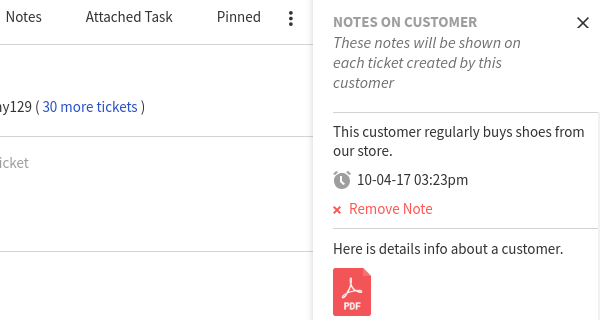 On the Dashboard, you will see "APP CENTRE" menu and under it, you will find "Notes on Customer". 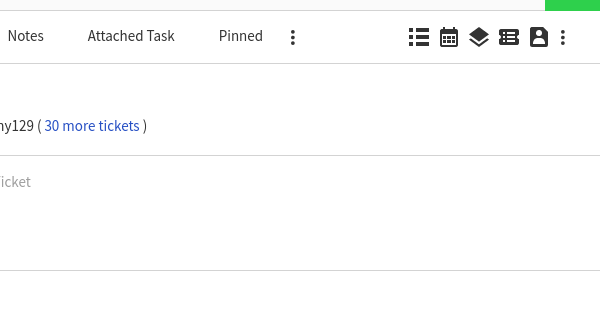 Click on that button and Notes on Customer will get installed. 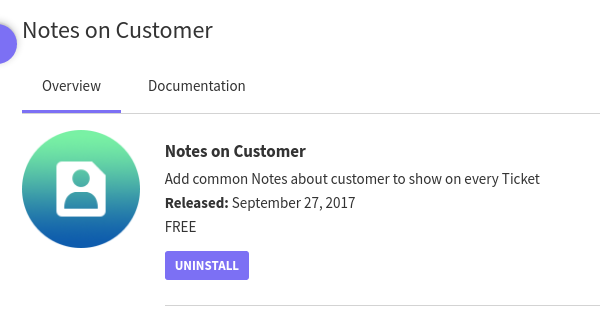 Alternately, for uninstalling the app, go to Notes on Customer "Overview" section then click on Uninstall button. 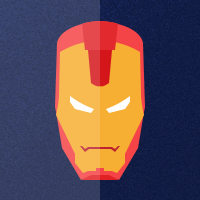 Install this App, Then Agent(s) can View "Notes on Customer" Icon on Ticket view page. 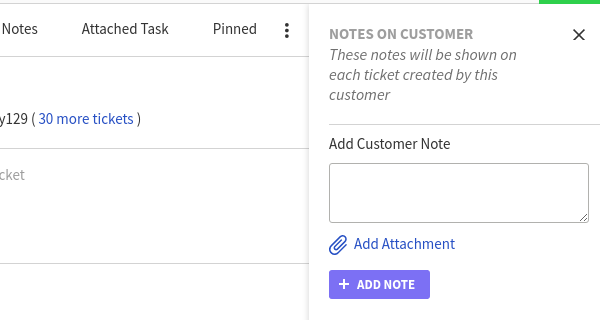 Agent(s) can View, Add or Remove Notes about Customer from that tab.